Set of 8 notecards, 2 each of 4 designs from originals in ink and watercolor. 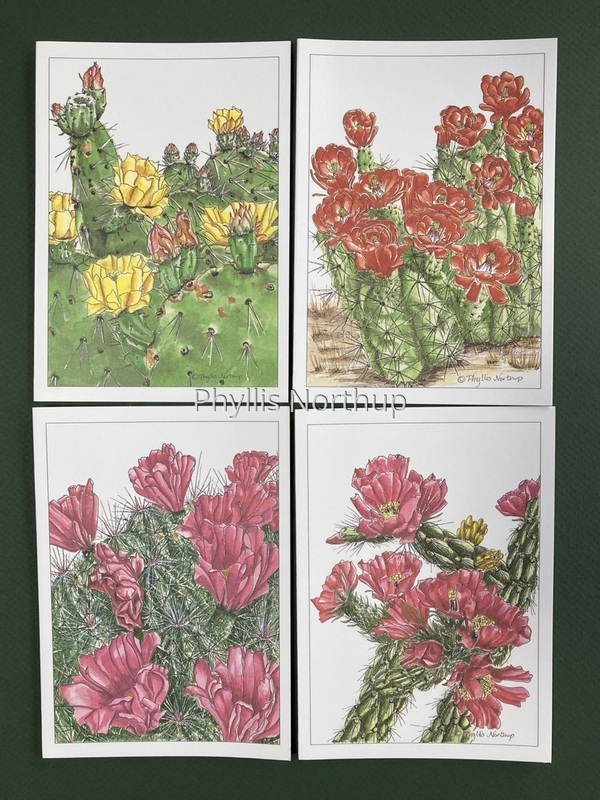 Set includes Prickly Pear, Claret Cup Cactus, Strawberry Cactus and Cholla. Price includes shipping.